The Estate Owners, who were born in northern Italy, have great admiration for this exciting island called Sicily. Their expression of passion is motivated by the sun, the sea, and the winds energy; that produces the best varietals and harvest superb wines. The wineries facilities and equipment are new and modern. Our winery is known for its production of small quantities of varietal wines: with annual production between 85,000-100,000 bottles. 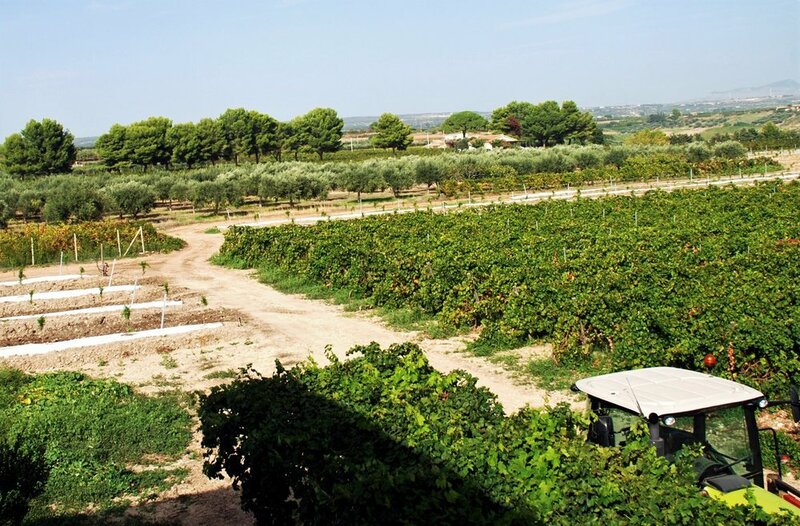 The estates General Manager and Viticulturist, Enzo Interrante has over 20 years’ experience as a local agronomist and has supervised the plantings and construction of the wine making facility since its inception in 2002. “The Wine Maker” named Leonardo Mangiaracina, who has a Doctoral Degree in Enology, from the University of Marsala, Sicily. The winemaker uses indigenous yeasts and very simple natural practices for fermentation of the grapes. He makes wine with respect of the fruit, loyal to the terroir, very few oenological additives: low sulfites that keep quality and distinct flavors with crisp aromas for all 6 varietals. "DRINK LITTLE, BUT DRINK WELL"